What’s better than shooting a human in the head? Shooting an alien in the head of course! Many games these days have aliens as their main enemies such as Halo, Resistance, Gears of War, and more. Here I will cover our top 5 alien species in video games! When it comes to Aliens and video games, the Halo franchise instantly comes up; these aliens are known as the Covenant. First introduced in the first Halo game for the Xbox, The Covenant are a religious group that consists of an alliance of many different alien races. The Covenant are organized by strength with Grunts at the bottom of the totem and with Elites or Brutes at the top depending on which game you are playing. The Protoss were first introduced in the 3rd campaign of Starcraft. These humanoids are the most technologically advanced race in the series. Despite their small size, they are physically strong., as the Protoss were once a tribe with a very strong warrior culture. These aliens fight against the other alien race in the game called the Zergs. 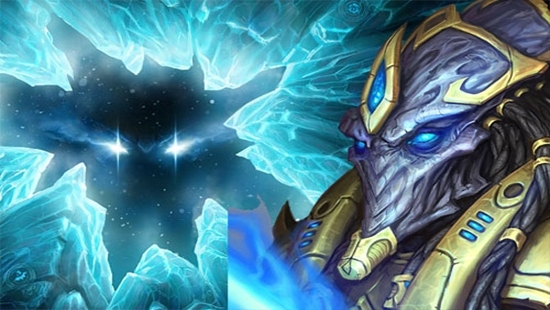 The Protoss heard about the Zerg invasion of the Terran worlds, so the Protoss are on a mission to help the Terrans stop the invasion and occupation of Terran land. These bug-like aliens should be known to all, from the famous Tabletop game, and the video games. These aliens kill and consume all in their path and they drain every planet in their way; in one word- badass. 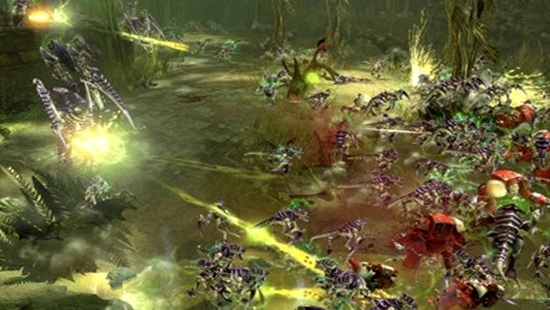 The Tyranids were first introduced in the tabletop game Warhammer 40,000 and later on they made their first apperance in video games in Dawn of War 2 . 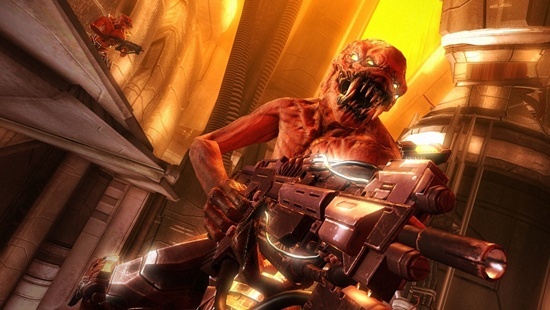 These aliens rely on close quarter combat, stabbing and slashing through their enemies flesh. 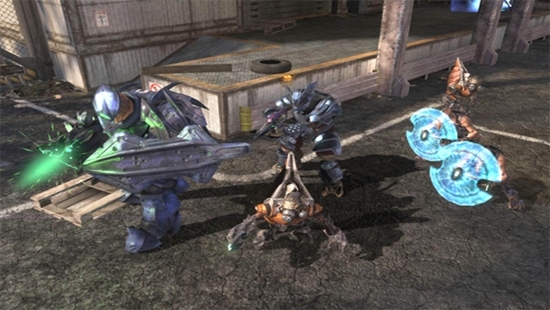 The Locust were first introduced in Gears of War in 2006 for the Xbox 360. The Locust come from the planet Sera. They were living under the surface of the planet and when Emergency Day came, the Locust came out and tried to wipe out all the humans that were controlling Planet Sera’s Surface. Its now time for you to take up arms and shoot some Locust in the head! The Locust have a couple of differnet types; the most common ones are the Drones which you will fight with the most through both games. However, every once in a while you will be surprised when you see that you have to face off with a giant Brumak; good luck. 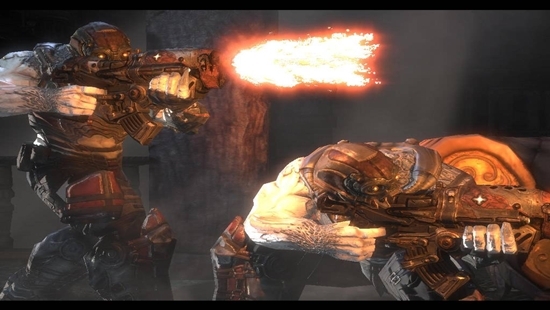 The Chimera were first introduced in the PS3 launch title Resistance : Fall of Man, later followed by Resistance 2 and Resistance Retribution. The Chimera first started their invasion in Russia, spreading their terror on all of Russia- killing everyone- and later on with just a matter of weeks they take over all of Europe, and later on North America. The Chimera come in all shapes and sizes, from the tiny bug size Crawlers that enter a human body and infect it, to the colossul Leviathan that tears down buildings and destroys cities in no time. The most common type of Chimera are the Hybrids, these are the standard and most common foot troopers that you will see in the games. The amount of variety is what makes the Chimera number one on our list- there are the fish like Furies, the small chicken sized Leapers, and the big heavy Titans. Each type of Chimera you face is different, requires different strategies and weapons in order to kill it faster and easier. The Chimera are the scariest and most horrifying aliens on this list. A good example of that will be the Grims who suddenly jumping out of their Cocoons, attacking you from behind when you wouldn’t expect it, and if you are unlucky- you will be killed. Well I hope you have enjoyed reading about the best and most interesting alien races to be found in video games!